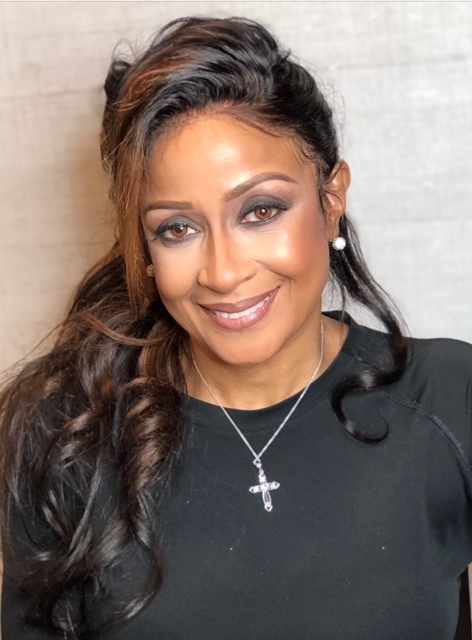 The Adrienne Arsht Center for the Performing Arts of Miami-Dade County (@arshtcenter) continues the 2018-2019 season of its popular concert series FREE GOSPEL SUNDAYS with legendary gospel artist DR. DORINDA CLARK-COLE(@dorindaclarkcole). The multiple Grammy and Stellar Awards winner, known for powerful vocals and top gospel hits, “Take It Back,” “I’m Still Here,” and “So Many Times,” will bring audiences to their feet on Sunday, February 17, 2019 at 5 p.m. in the John S. and James L. Knight Concert Hall. Admission to FREE GOSPEL SUNDAYS is FREE. First-Access Passes, which give guests early access to general admission seating, can be reserved for the DR. DORINDA CLARK-COLEperformance beginning today at noon. Reserve passes online at arshtcenter.org or by calling the Adrienne Arsht Center box office at 305- 949-6722. Guests without a First-Access Pass are invited to join the stand-by line one hour prior to showtime. Visit arshtcenter.org for details. Throughout her life, DR. CLARK-COLE has inspired flocks of peers, supporters and followers around the world with the power of her voice and message. Hailed for her dazzling vocals and profound performances, DR. CLARK-COLE’s music echoes her gratitude and tells her testimony through life’s ups and downs. From “I’m Still Here,” the smash hit from her self-titled album Dorinda Clark-Cole, to her sophomore album embracing her moniker (The Rose of Gospel), and chart-topping success “Take It Back”– DR. COLE emerges victorious through song and praise. In June 2002, DR. CLARK-COLE released Dorinda Clark-Cole followed by her sophomore album The Rose of Gospel in August 2005 which garnered a Grammy nomination for Best Traditional Soul Gospel album. Her top hits, “Take It Back” and “Back To You” from the self-titled album, debuted on Billboard’s Top 10 Hot Gospel Songs Chart. DR. CLARK-COLE also won the Stellar Gospel Music Award for “Best Female Artist of The Year” in 2007 and 2009. As a member of the world-renowned Clark Sisters, DR. CLARK-COLE won three Grammy Awards in 2008 including “Best Traditional Gospel Album” for Live – One Last Time, Best Gospel Performance and the individual Best Gospel Song for the album track “Blessed and Highly Favored”. With the group, she appeared nationally on “The Tonight Show with Jay Leno,” ABC’s “The View,” “Bobby Jones Gospel”, “Lift Every Voice”, Gospel Superfest, TBN’s “Praise the Lord”, The Stellar Awards and The Lady of Soul Awards. DR. CLARK-COLE’s extensive anointing as an inspirational leader allows her to keep her hands full serving others across broad platforms. Her roles include, but are not limited to, gospel radio host for the nationally syndicated “Dorinda Clark-Cole Radio Show,” television host for TCT Networks’ “The Dorinda Show,” and The Word Networks’ “Gospel According to Dorinda.” In addition, DR. CLARK-COLE is CEO of Harvestime Ministries, founder of Singers Musicians and Arts Conference affectionately known as “SMAC”, and newly-appointed Elect Lady of the International Department of Evangelism of the Church of God in Christ. For more information, please visit www.ladydorindaclarkcole.net. Now in its 12th season, the 2018-2019 FREE GOSPEL SUNDAYS series is made possible with the leadership support of Rodney and Michelle Adkins, as well as the generous support of the National Endowment for the Arts, Green Family Foundation, the Israel, Rose, Henry and Robert Wiener Charitable Foundation, the Friends of Free Gospel Sundays, the Miami-Dade County Mayor and the Board of County Commissioners, the Miami-Dade County Department of Cultural Affairs and the Cultural Affairs Council, the State of Florida, Department of State, Division of Cultural Affairs and the Florida Council on Arts and Culture.